If you are shopping for a mattress on a limited budget, you might want to consider ordering the Zinus memory foam mattress. Zinus has earned the reputation for manufacturing affordable bedding products and accessories for years. The question remains does this mattress sooth restless souls to sleep, without busting the bank. Shopping for a mattress is a highly personal process. However, there are a few factors that every consumer should consider before making a mattress buying decision. How a mattress supports your body goes a long way towards determining which mattress is the best option for you. 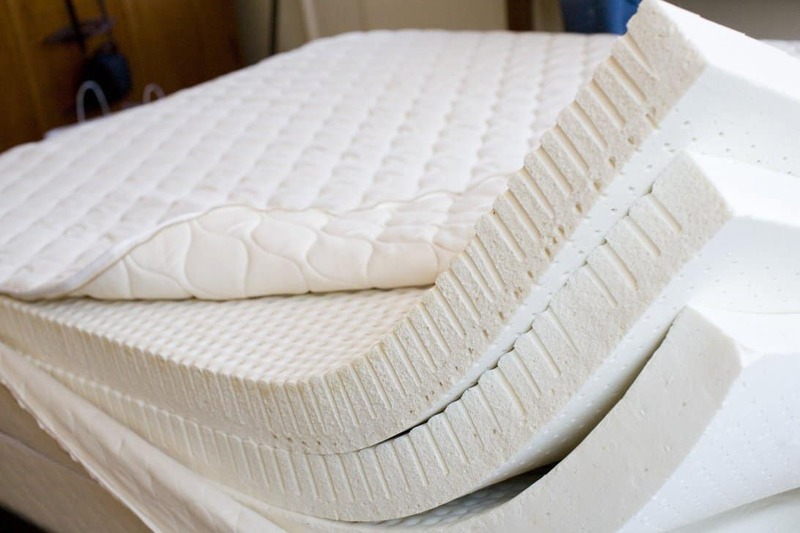 Features such as firmness and sinkage tell the mattress body support story. Mattress manufacturers and reviewers like to use a firmness scale that runs between 1 and 10. The key for analyzing is to test different spots on a mattress; most of us sleep in several different positions throughout the night. Consumers should look for four features of a mattress cover. First, determine how well a mattress cover keeps the mattress clean. We tend to sweat during sleep, so a cover that absorbs most of the perspiration is a good thing. Most consumers put price low on a factor priority list. We do not want to buy a cheap mattress that causes restless nights or worse, triggers back and shoulder pain. Nonetheless, you should set a minimum and maximum amount that you can for afford for a new mattress. Moreover, search for deals that include making a down payment, with a grace period before you make monthly payments. Most mattress manufacturers present allergen information within the mattress owner guide and online at the company website. Read online reviews from independent websites to obtain a more accurate description for mattress allergen ratings. Consider a mattress manufacturer warranty that covers the most issues that diminish the quality of the mattress during the longest period. Warranty claims include statements about the presence of allergens and repairs for covers that rip and tear before the warranty expiration date. Only consider mattress warranties that cover a minimum first five years of mattress ownership. 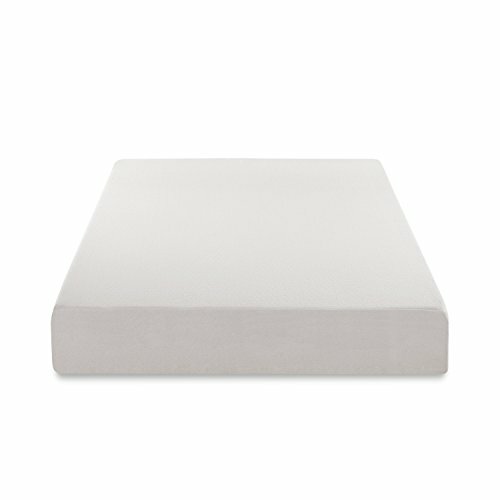 Three layers that total 12 inches in height provide the sleeping foundation for the Zinus memory foam mattress. The top comfort layers consists of memory foam measuring three inches that provides the right contour and soft feel to ensure supreme comfort. In the middle sits three inches of transition polyester foam created to strengthen back and side support. 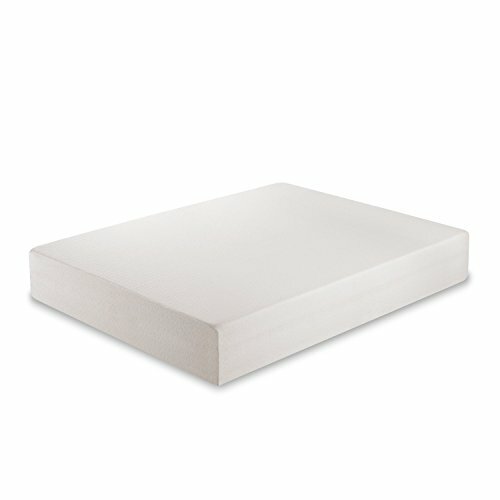 At six inches, the polyester foam bottom foundation layer offers significant compression support, which helps deep sleepers who typically remain in the same sleeping positions for hours on end. The cover is where the Zinus memory foam mattress takes a performance hit. The lack of elasticity for the top piece of fabric creates enough tension to cause rips and tears. In addition, the cover fits more loosely around the mattress than the covers fit for other type of similarly designed mattresses. Loose covers bunch up, which creates discomfort for sleepers. The mesh section of the cover enhances breathability and the fabric wraps tightly around the side panel of the mattress. With a 10 rating representing the firmest mattress, the Zinus memory foam mattress delivers a firmness rating of 6, which places the mattress in the slightly above average category for firmness. Initially, the mattress sags at the point of where a 140 pound adult sits away from the edge. The support wall beneath the comfort layer sagged more than expected and the impression took some time to rebound once the tester got to his feet. Zinus has added a firmer transitional layer under the first layer to enhance body support. However, the extra transitional layer has tipped the firmness scale closer to the maximum 10 firmness rating, as even a 140-pound adult will notice the abrupt support delivered by the transitional layer. Sleepers that weigh more than 140 pounds can experience an increase in abruptness for every 20 pounds gained. However, the additional firmness generated by the transitional layer might help heavier sleepers who do not like the foam making them feel trapped on the mattress. 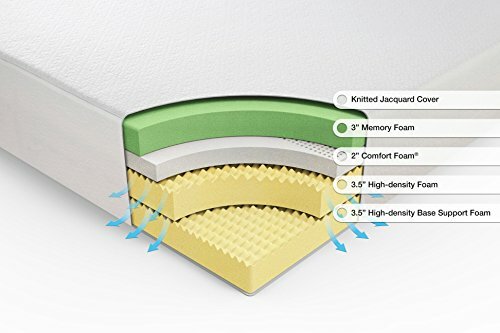 Memory foam typically does a great job of providing pressure relief, and the Zinus memory foam mattress falls in line with the strong pressure relief reputation. The generous amount of foam within the top layer creates the classic enveloping sensation of hug and sinkage, while mitigating pressure because of the slight sinkage. Nine inches of combined support poly foam supports sleepers of most shapes and sizes. 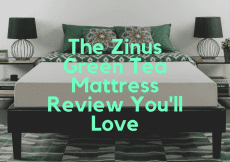 You should not expect much of a bounce from the Zinus memory foam mattress. The thick memory foam design of the mattress absorbs most of the energy produced by the body. Even sleepers that move around a lot during the night should not experience much bounce. Couples typically enjoy the mattress because the lack of bounce keeps the mattress relatively still. Rolling out of bed for a trip to the bathroom should not disturb the other sleeper. Zinus has developed a mattress that works well for restless sleepers and their partners. A 140-pound adult lying on his back should never sink the Zinus memory foam mattress more than 2.5 inches, especially if you spread the weight of your body across the mattress. With more weight applying pressure while sleeping on one of the sides, the mattress sunk 3.5 inches. Passive sitting on the edge of the mattress created sinkage of around four inches, while a more assertive sitting position created more than six inches of sinkage. Standing in the middle of the Zinus memory foam mattress produced sinkage of six inches. Zinus sets the standard for offering affordable mattress, and the Zinus memory foam mattress is not an exception to the rule. For $200 (For the latest prices and discounts, check here), you can buy a new twin mattress. A full Zinus memory foam mattress costs $270 and a queen size mattress runs you $310 (For the latest prices and discounts, check here). Both the king and California king costs $380 (For the latest prices and discounts, check here). Shipping, which takes between four and eight days, costs you nothing. The 10-year warranty runs about the average length for a new mattress. The trial period of 30 nights is way below the average trial period of 100 days. Several online retailers offer discounts for the Zinus memory foam mattress. The affordable prices appear irresistible for the Zinus memory foam mattress. 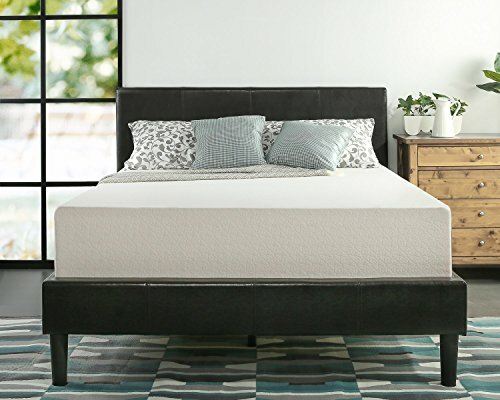 After all, where else can you buy a twin memory foam mattress for under $300 (For the latest prices and discounts, check here). However, do you save money purchasing the affordable mattress, but spend more money trying to fix back and shoulder problems caused by an inferior quality sleeping experience? If you want a medium firm feel that allows for some sinkage, then the Zinus memory foam mattress meets your firmness criteria. The hugging of the foam built into the top comfort layer feels like a gentle hug, without making sleepers feel entrapped sleeping on the mattress. Very little bounce and motion transfer makes the mattress ideal for couples and restless sleepers. The memory form conforms to most body shapes and sizes. However, heavier sleeps might feel more hugging than they want. Sleepers that generate above average heat during the night might find the Zinus memory foam mattress sleeps a boot too warm. The combination of the memory foam top comfort layer and a little sinkage can produce a warmer feeling for many sleepers, even sleepers who remain still throughout the night. The bottom line is if you are on a tight budget, yet want a mattress that offers enough comfort, with little or no motion transfer, then the Zinus memory foam mattress is the right mattress for you. Shopping for a mattress requires you to follow a couple of steps. The first step in the buying process involves reading reviews from several independent mattress review websites. After compiling data and information, you narrow your choices down to a couple of mattresses and perform in store sleeping position tests. Sealy Posturepedic Hybrid Mattress Review – Is It Worth the Money?